This exact reproduction of the sword of the Clan MacLeod is crafted after the early pattern Scottish Claymore broadsword. 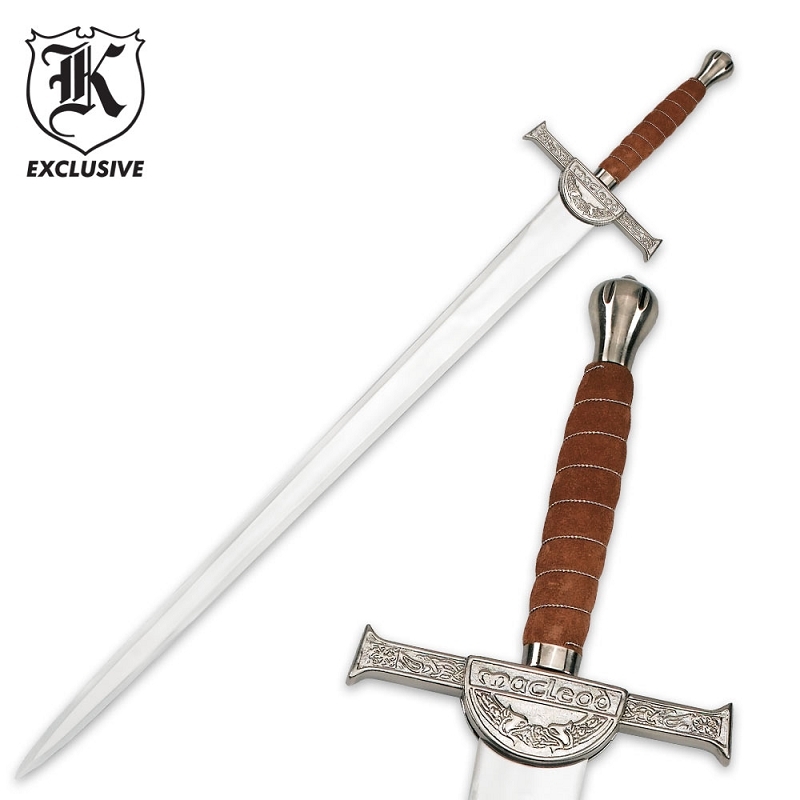 This massive sword features a 38 1/2" stainless steel blade with mirror polish finish. The handle offers an intricately detailed cross-guard with the Clan name, a heavy pommel and a leather and wire wrapped hilt. This sword stretches 50 1/2" overall and belongs in every sword collection!